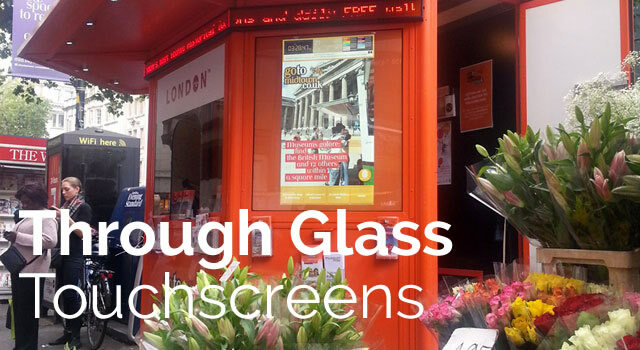 LifeSize Touch have arguably the most comprehensive range of through glass touchscreens available. We don’t just supply, we also provide a specialist professional design and install service. Our entry level options in 15″ and 19″ are easy to ship and require no specialist installation skills. Larger options using LED displays and touchfoils/films are available in sizes 24″, 32″, 42″, 55″, 60″ with screen brightness of 1000/1500/2000 cd/m brightness depending on your operating needs. For those who need a larger through (thru glass) glass touchscreen, we also provide touchfilms with projectors, making 142″ touchscreens possible. Call our expert technical consultants who can assist you with specifying the correct hardware suitable for your environment.